We started brokering new car purchases in 2006, and our business has grown steadily since then. Our founder, David Leibenson has brokered new cars since 2003 and before that has been in the automotive sales and aftermarket business since 1985. Why is GetMyCarForMe the best way for me to get my new car? We save you time, money, and aggravation. You will get the lowest price possible, and your experience buying a car will be better than you ever thought possible. As your agent, we work for you to get the best terms for the car you want, in your preferred color, with your preferred options. This means you don't have to go back and forth from one dealer to another, wasting time looking and trying to negotiate a good deal. We are trained and professional customer service people and very different from dealership employees, who are motivated to put the dealer's interests first and incentivized to move the cars they have on the lot. Since GetMyCarForMe.com doesn't have its own inventory, we listen carefully to your needs and requirements, and work hard to get the car you want. How can you get me a better price than the dealer? We get better prices all day, every day. We continually research the market to identify the best source for your new car: the franchised new car dealer that has your car sitting on its lot, unsold and ready to move. With our combination of volume buying, best market timing, and the right dealer contacts, we will get your car for less, guaranteed! Every new car that we deliver comes from an authorized franchised new car dealer. The purchase, financing, or leasing documents will be in your name, and you will be the first owner of your new vehicle with the full manufacturer's warranty. Why do you work with dealers? We work with dealers because, in the United States, all new cars must be sold from factory authorized franchised dealerships. This legislation was designed to help protect consumers, and also enables the automobile manufacturers to stand behind their products for warranty claims, repairs, and so on. Do I still get the dealer's and manufacturer's warranties? Yes, you will get the exact same warranty coverage as if you bought the car from your local dealer. Since your car is supplied directly from a new car dealership, the title transfers directly from the dealer to you. GetMyCarForMe.com simply facilitates the process for you, gets you a better price, and delivers the car to you at your home, your office, our office or at a dealership. You are the first owner of the car, with all of the rights to the car's warranty. The only difference is that you save time, money, and hassle by working with GetMyCarForMe.com. Where can I get my new car serviced? You can get your car serviced at any authorized dealer of your choice: the dealer near your home, the dealer near your office, or any other dealership location for that matter. Dealers want your service business even if they didn't sell you the car because as a profit center for the dealership, the service department is more lucrative than new car sales department. Can you special order my car and still get a better price? Yes, we can special order any car through the dealer network and still guarantee you the lowest price. Your car will be built to your preferred specifications. We work at your pace. For many cars, our normal turn around time is just a few days. If you need a vehicle sooner, or are looking to purchase in the future, just let us know. We are here to help you. Can you get hard-to-find models? We can get any make and model new vehicle offered in the U.S. Our search for your car will start out local and statewide, and we'll expand it to the regional and national level as necessary. We will exhaust every possible resource to locate the exact car you want at the best price. We charge fees ranging from $100 to $1000, which you'll more than make back with the savings we get for you. This fee enables us to search thoroughly for your car, negotiate the lowest price possible on your behalf, and take care of all of the administrative details required to deliver it. Our professional services reduce the time and hassle you would otherwise endure yourself, and still result in you saving money on your new car. Remember our price guarantee: if you're able to acquire your exact new car from another source for less, simply present proof of your transaction and we will refund our fee. Why do dealers like to work with GetMyCarForMe.com? Authorized new car dealers work with us for several reasons. First, they know that we represent serious buyers, committed to purchasing a new vehicle. Second, we help dealers sell more cars than they can alone in their local markets, thereby increasing their monthly revenue. Increased volume means they turn their inventory faster, which increases their allocation of new vehicles; this is called "turn and earn" in the car business, and it's very important to a dealer's success. Third, we ensure a positive experience for our clients and offer the dealer a client who can proudly report a perfect sales survey for their new car purchase which is very important to us, our clients, our dealers and the manufacturers. 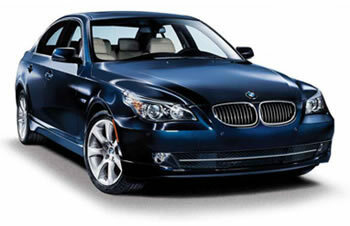 Because we negotiate lower prices for our clients, dealers generally earn less profit on sales through GetMyCarForMe.com. However, these lower prices are offset by lower dealer overhead, since the dealership doesn't have to pay commissions to its sales consultant, sales manager, and finance manager, resulting in a win-win for both you and the dealer. After I fill out your inquiry form, when will I hear back from you? Typically we respond to new inquiries within a few hours during our regular business day, Monday through Friday. If you want to get your new car very quickly, we can often find it, negotiate the price for you, and have it ready for delivery within two to three days or less. On the other hand, if you're not in a rush, we'll work at your pace and arrange for delivery whenever it's most convenient for you. To learn more, just submit our free, new car inquiry. How much money will you save me? Every vehicle purchase is different and there is no fixed percentage of savings or dollar amount. Our mission is to add value, service and expertise to your transaction and get you the lowest market price for your vehicle that is substantially lower than every day consumers can obtain on their own. Savings can range from hundreds to thousands of dollars better than what most consumers can do on their own. To learn more about the savings that are possible on the car you're interested in, please contact us. How are you different from the multitude of internet auto sites? Most of the automotive internet sites don't even come close to what we do. You can request a price quote from them, but all they really do is send your personal information to one or more dealers in your area and offer a lower starting price to entice you. You'll then be contacted by each dealer's internet sales department, which means that your shopping experience will be no different than if you'd gone to the dealer in the first place. You still have to negotiate and go back and forth from one dealership to another. In contrast, GetMyCarForMe.com eliminates the hassle, and saves you time and money.